Daina and Richard Gibson, with article. I had a great journalist moment today. When Ted Gibson’s downsized and relocated several years ago, I worried the framing shop would lose not only its charm, but also its customers. My mom had taken her art to the store since before I was born, so loyalty ran in my blood. I wrote an article for the LA Times that sounded almost like a eulogy for the nearly 70-year-old business run by the founder’s son, Richard. Yet Ted Gibson’s has stubbornly stayed in business. It has kept its charm, too, even at the new location wedged between a women’s clothing shop and a beauty parlor on Koreatown’s busy 3rd Street. And today, I was amazed at how little had changed since my last visit a couple of years ago. The same moldings in exotic woods like cherry, ash and oak leaned against a wall. The same teal Chinese vases sparkled in the front window. The same collection of sample frames hung at the exact same askew angles that they had the last time. 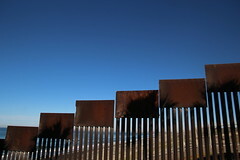 Again, the same wire fan blew hot air in from the street, and again, Richard’s assistant Sanchez straightened piles of pink and yellow carbon papers with hand-written orders. Just one thing was different. On a narrow wall facing the front door, I spied a newspaper article in a delicate gold frame. Wait a minute – that was my article! 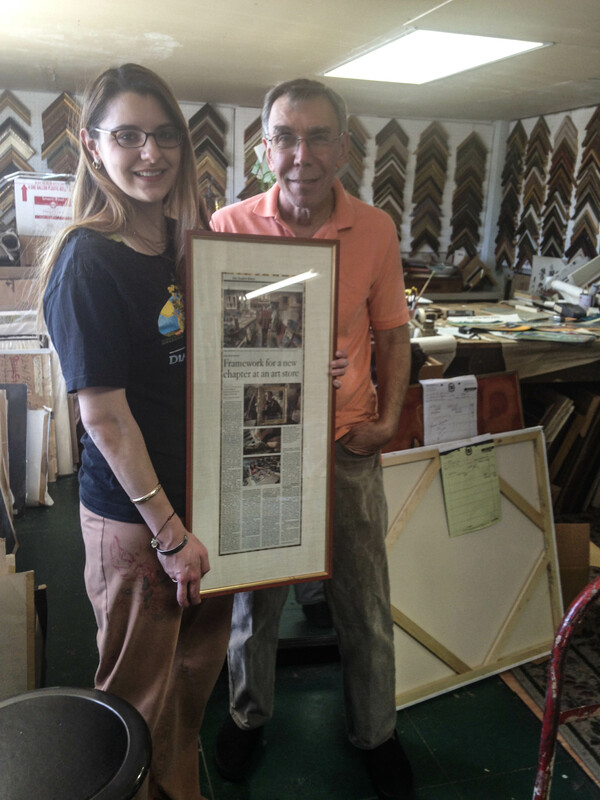 He said that if I brought in my own copy, he would put it in the same beautiful frame – free of charge. Tags: art, framing, Koreatown, LA Times, Ted Gibson's. Bookmark the permalink.